Be it customers, employees, fans or paid influencers—by involving the right ambassadors, the brand can reach an audience on social media which is already interested and therefore relevant. Once a brand has decided to collaborate with professional influencers, it should reap the benefits of this partnership by integrating the influencer’s photos or videos into their website or online shop. It isn’t always necessary to have a social media star. Companies can strengthen their relationships with the most important brand ambassadors by integrating photos, videos and comments from fans, thereby continuously building their community. Each year, the people magazine Schweizer Illustrierte and the Schweizer Fernsehen (Swiss television) set out to find the “prettiest village in all of Switzerland”. 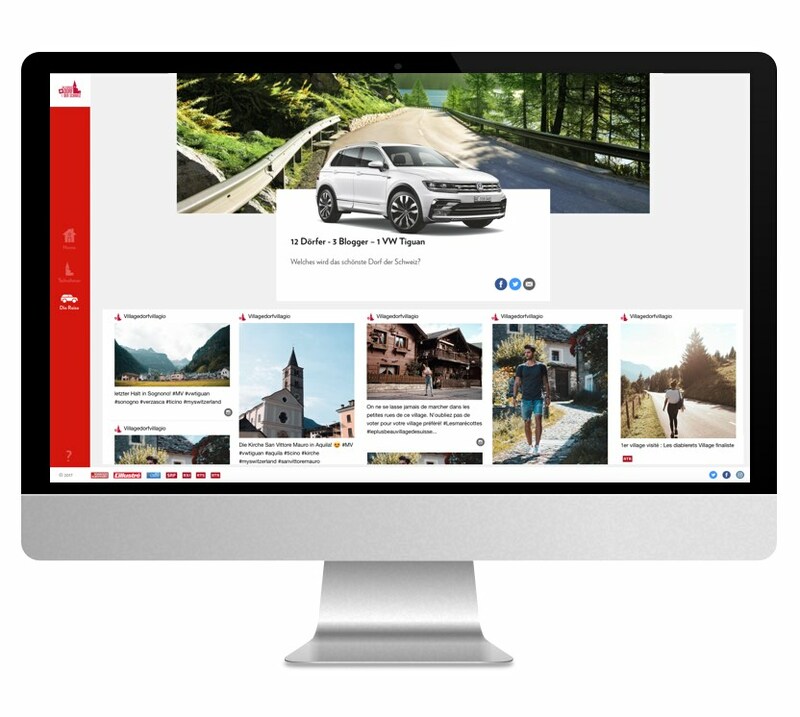 During a road trip in 2017, three influencers explored the twelve finalist villages and documented the routes traveled on their social media profiles. These photos and videos were integrated directly into the website of this one-of-a-kind beauty contest.